Q: Mr. Pedometer, do you make up all those “National Today Days and Month of …” things that you cite? A: I don’t, but somebody does. There is a website for NationalToday.com that actually invites people to submit days/weeks/months to celebrate. I have no idea what makes such a designation “official,” but lots of them show imagination and humor. The International Day of Forests (21st) shares the date with National Common Courtesy Day, which you could interpret to say that in America, you have to go deep into the woods to finds signs of “common” courtesy. I could support National Napping Day (11th), but I cannot even imagine what to do on If Pets Had Thumbs Day (3rd). If you could limit yourself to one portion per year, this crazy calendar could be your diet guide, suggesting that you eat frozen food (March 6 – also Oreo Cookie Day), meatballs (9th), pancakes (12th), potato chips (14th), artichokes (with corn dogs? Both on the 16th), poultry (19th), French bread (21st), cheese steaks (24th),waffles (25th), followed by spinach (26th). Q: Mr. Pedometer, I know you encourage us all to walk frequently, but I am wondering, will that help those of us with high blood pressure? A: An AARP Bulletin reported last January that high blood pressure is just one of half a dozen ailments that can be improved by taking regular walks – but at different speeds and durations. OSTEOPOROSIS – Did you know that walking helps preserve bone? Walking 30 minutes a day, 5 days a week, can make a difference. “Three 10-minute walks a day are as bone-strengthening as one 30-minute walk,” says Andrea Singer, M.D., of the national Osteoporosis Foundation. FOR A HEALTHY, LONGER LIFE! Q: Mr. Pedometer, it’s January 2019 and I know I need to make some changes in my life to get healthy this year. I just don’t know where to start. Do you have any suggestions? A: Since most of our health changes have to do with nutrition and exercise, start with this great article by Shereen Lehman, MS, found on the Very Well Fit website. Go through the questionnaire and be honest with yourself. Then instead of trying to change everything at once, pick one thing to change, i.e. decide to get up a half hour earlier each morning and go for a walk before diving into your day. Once you have established one change, go on to another one. Change 1 Thing at a time so that you don’t get overwhelmed and give up. See the “Change 1 Thing” article below for the steps that will help you to make changes more possible. How does your weight compare with a year ago? Do you feel healthy and have a lot of energy or are you tired all the time? 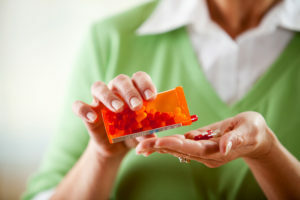 Do you take vitamins or other nutritional supplements? Do you eat at home most of the time? If so, what types of foods? Whole fresh foods, boxed foods, or TV dinners? Do you dine out frequently? What types of restaurants do you like and what kinds of foods do you choose? How physically active are you? Do you exercise regularly? Do you eat healthy portions, or do you stuff yourself with every meal? It’s important to take an honest look at your health and dietary habits so you can set goals for the next year. Do you want to lose weight? Do you want to be able to run up and down the stairs without getting winded? Do you want to reduce cholesterol or lower your blood pressure? 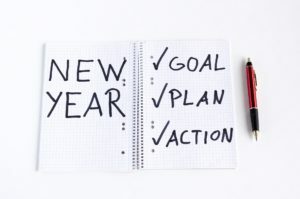 Decide what you want to achieve over the next month, and over the next year. One possible goal for your first month could be a resolution to take your lunch to work four days per week for each week this month instead of eating lunch in restaurants every day. Another example of a monthly goal would be to walk for 30 minutes four days per week each week this month. Start with your statistics. Take body composition measurements and make your goals. Then write down your goals in a notebook or in the food diary you are going to create in step seven. Do you have high blood pressure? If so you may wish to reduce sodium in your diet by avoiding canned and packaged foods. Are you overweight? You need to decrease your calorie intake or increase your amount of physical exercise. You can choose a low-carb diet or a low-fat diet, just be sure to watch your calories and portion sizes. Do you have diabetes? If so, then you need to reduce your sugar intake. Do you have high cholesterol? Increase your intake of soluble fiber like the fiber found in oatmeal. It will help lower your cholesterol levels. Reduce your intake of saturated fats and increase your intake of omega-3 fatty acids from fish, flax, walnuts, and canola oil. A healthy diet should give you all of the vitamins and minerals you need, but many people take vitamins just to make sure. There are several formulations available, but all you need is a simple multivitamin and multi-mineral supplement. Speak with your health care provider before you take any additional supplements or if you have any health conditions. How many calories do you need to eat each day to reach your weight gain or weight loss goal? How do your eating patterns fit your lifestyle? Do you feel better with three large meals per day or five smaller meals per day? Will you continue to eat in restaurants often? What types of fruits and vegetables do you like? A healthy diet should give you five to nine servings of fruits and vegetables per day, 25 to 38 grams of fiber per day, five or six ounces of protein per day, and a small amount of omega-3 essential fatty acids. To stick with your new diet, you’ll want to include foods you enjoy. If you love hamburgers, that’s OK. Make them at home with whole grain rolls and cut down the size of the burger patty, or use ground turkey. Add lots of lettuce, onion, and tomato. Serve your burger with a salad instead of fries. Choose crunchy raw green beans instead of chips and serve them with a little of your favorite dip. Replace high fat hot dogs with soy dogs. Choose whole grain bread and pasta instead of white bread and white pasta. Skip the sugary desserts and have a small dish of fresh berries with a dab of whipped cream or non-fat whipped topping, then add a sprinkling of chopped walnuts. Use lemon juice instead of oil for a salad dressing. Use these tips for finding healthful foods on a restaurant menu. Make a grocery list before you go shopping. 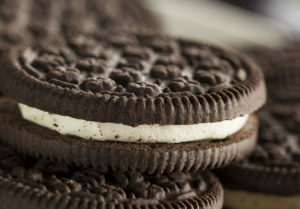 Stay away from the snack food aisles and the prepackaged foods aisles when you shop. Choose fresh fruits and vegetables, whole grain breads, lean meats, fish, and legumes. Avoid foods high in saturated fats, sodium, trans-fats and sugar. Sautéing is better than deep-frying. Frying foods adds fats and calories and doesn’t add any nutrition. Steam your vegetables instead of boiling them to mush. Steaming will preserve the vitamins found in the vegetables. If you’re serious about changing your diet, losing (or gaining) weight, and improving your health, you’ll find that keeping track of things is key to your success in a simple food and exercise diary. This will help keep you motivated and help you get back on your diet if you have a temporary setback. Be sure to note the portion sizes and write down the calories you eat every day. Add up the number of calories per day and your total for the week. If you need to lose weight, decrease the number of calories you need to eat each week by 500. For most people, that adds up to one pound per week. You can make your own food diary or keep track of your healthy new diet online. Mr. Pedometer includes getting outside in the fresh air and taking a walk. Good nutrition is just one part of a healthy lifestyle. Another component of health and fitness is exercise. If you lead a sedentary lifestyle, you need to get out and get moving. If you want to lose weight, it is important to increase aerobic activity like walking or running. If you need to increase your strength, then you need to start resistance training such as lifting weights. There are health clubs, gyms, and personal trainers, as well as at-home equipment to get you fit and healthy. Do you smoke? If so, you’ll do yourself a favor by quitting. Smoking has been connected to many chronic diseases, plus you will save a lot of money over the next year if you quit smoking. Stress relief is important for your health. Stress is detrimental to your health. Stress includes daily events like constant deadlines at work; long drive times with excess traffic; more activities than time to do them; and emotional trauma like death or divorce. Sometimes getting started with a new healthy diet and fitness plan is the easy part. Many of us hit occasional roadblocks due to busy schedules, loss of motivation, or weight loss plateaus. Those are the times when we feel like we do everything right, but the scale doesn’t seem to budge. When this happens, don’t give up. Think back to why you made the goal in the first place and find the inspiration you need to get back on track. Be sure to celebrate your small successes too! Get depressed in the winter by gray skies and fewer hours of daylight? Q: Mr. Pedometer, I get depressed in the winter by gray skies and fewer hours of daylight. Any suggestions of how to be “merry” despite those features? The very good news is that you can accomplish all of the last three on the list if you come “Walk ‘n’ Talk” with us on Saturday mornings! If you aren’t in our area, consider starting your own “Walk ‘n’ Talk” group. Here’s to a cheerier wintertime! One in EIGHT American adults have Type 2 Diabetes-A largely preventable disease! Mr. Pedometer, I heard that one in ten American adults has Type 2 diabetes. Is that an exaggeration? About 29 million American adults have Type 2 diabetes, which means that their bodies either don’t use insulin properly or don’t make enough of it, causing their blood glucose levels to rise. The older you get, the greater your risk. Sugary foods and drinks do NOT cause diabetes, but those extra calories can lead to weight gain, which increases your risk for Type 2 diabetes, according to Sacha Uelmen, RDN, director of nutrition at the ADA. 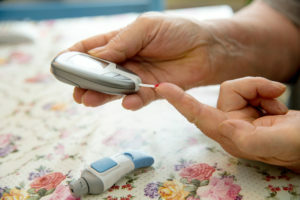 “Even older people can develop Type 1 diabetes. Though it’s dubbed juvenile diabetes because it typically affects children and young adults, Type 1Diabetes doesn’t discriminate based on age.” Sometimes older people are mistakenly diagnosed with Type 2 when they actually have Type 1 – meaning different medications are needed. Don’t become a sad statistic! Take steps to decrease your risk of prediabetes or diabetes. Walking 10,000 steps a day will help lower your risk of Type 2 Diabetes or eliminate it if you already have it. Try wearing a pedometer. Research shows that pedometer users increase their daily steps by 26.9%. That’s 2000 extra steps a day to get you on your way to being a healthier more active you. Find the pedometer that is right for you and start walking. You will be amazed at how much better you begin to feel. For advice on how to get started on a walking program go to Pedometer.Com. 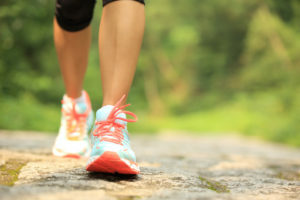 There you will find articles on how to start a walking program, tips on the correct way to walk and many articles in the Blog search about Type 2 Diabetes that will encourage you on your journey. Q: Mr. Pedometer, my doctor has prescribed medication for my blood pressure and for my cholesterol. Will I have to take these pills for the rest of my life? Is there any hope of getting off of them? LOSE EXTRA WEIGHT. Even losing just 9 pounds can make a significant difference in your blood pressure readings, according to a 2014 Cochrane review. EAT RIGHT. Where have you heard that before? (-; “Proper eating habits can help you get to – and maintain – a healthy weight. 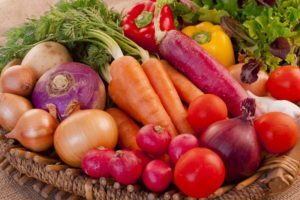 Vegetarian and Mediterranean-style diets reduced body fat and weight equally, according to a study published in “Circulation” in February (2018).” Cutting back on sodium (less than 2,300 mg per day) also can help reduce blood pressure. You may want to try some or all of these lifestyle choices before your next physical, to see if the combination helps you reduce the need for prescription medications.